Join us in Missoula Montana for a quick getaway! You will arrive in Missoula Friday night and check into the Double Tree Hilton in Missoula Montana. Your day of guided fly fishing will begin Saturday morning.You can count on your guide to put you on the fish, and have your group back to Missoula in time for the night life. For Sunday, you can expect more stress free relaxation on Missoula’s rivers. This package includes two days of guided fly fishing and lodging for two anglers based on double occupancy. The cost of this package is $695.00 per person minimum of two people or $1390.00 for couples. It is a great way to unwind with friends for the weekend before you have to go back to work! If you like big water and lots of action this is the trip for you! Nymphing up Big trout is what the Missouri River is all about. With over 8000 fish per mile our licenced Montana fishing guides can get you hooked up with a lunker! 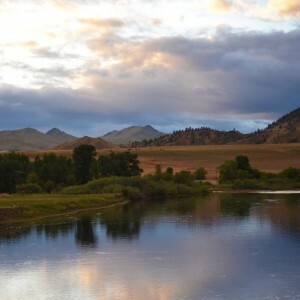 Brown Trout, Rainbow Trout, Walleye, and Whitefish call the Missouri River, Craig Montana there home! Join us for a fun filled adventure in May on the Missouri. Most of the rivers are blown out and flowing too high to fish with any success. This is a great time to see the lush green outdoors Montana offers, and experience great weather and temperatures. 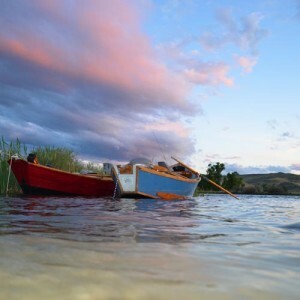 Montana Fishing Company has created the best fishing trip Montana has to offer during the month of May. Three Day Package $975.00 per angler with lodging. Five Day Package $1750.00 per angler with lodging. 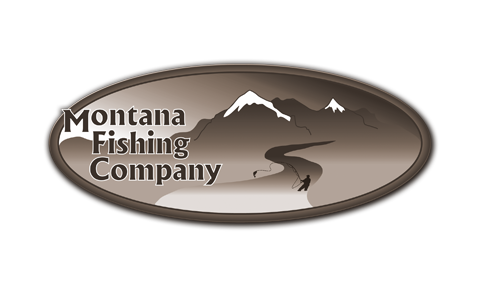 Montana Fishing Company is offering a spring special of $350.00 (1 Angler) and $450.00 (2 Anglers) per day for a guided float trip on the well known Bitterroot River in Missoula, Montana. 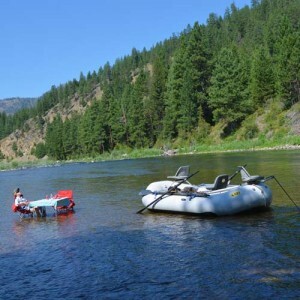 Our Missoula, Montana fishing guides know this river very well and can put you into the fish before they even see a large number of artificial flies. This is a great time of the year to go fly fishing in Missoula because the fish are very hungry and eager to feed on the Skwala Stone Fly. 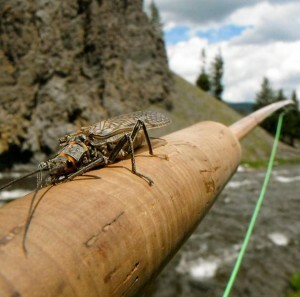 The spring season on the Bitterroot River lasts from mid-March to the end of April. If you are into casting hopper size dry flies in the spring check this special out. After April we move over to the Missouri River. Check out our May Days on The Missouri River special if you can not make the spring special! One day of guided fly fishing for $350.00 ( 1 Angler ), $450 ( 2 Anglers ) . Offer is good for the Bitterroot River 02/01/15 to 04/20/15. This is the best way to see Montana’s blue ribbon streams. Let outfitter Scott Anderson and his team of licensed guides take care of the rest. We fly fish five rivers in six days. The blue ribbon rivers include the Blackfoot, Missouri, Yellowstone, Madison or Clark Fork, and Bitterroot. Lodging will be provided by the Hilton chain of hotels. We always have a great breakfast, lunch, and dinner for our clients.